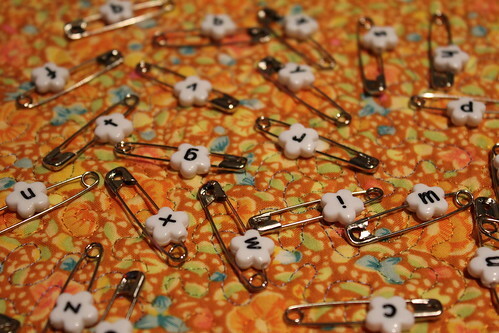 Buy some inexpensive letter beads from your local craft store and load them onto safety pins. 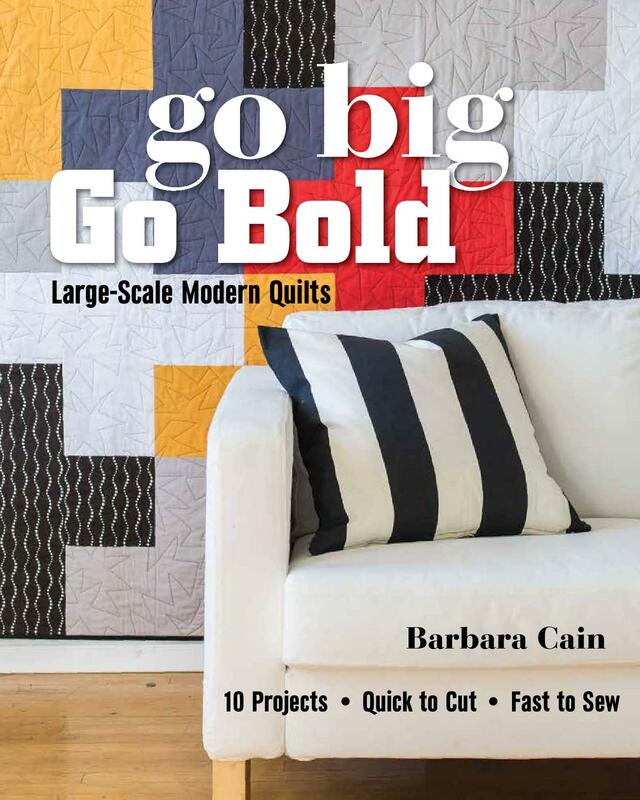 Use these to mark rows or blocks of patchwork, or strips of fabric that you plan to sew together. This simple tool helps to keep me organized and prevents me from sewing together the wrong things. I need all the help I can get! If you have a tip that you'd like to share, please do comment. We'd all love to learn about your favorite tips!